I know that I have already written a similar article not long ago ( Day 1183 ) but I have to do it again as this is really incredible and very important at the same time. As you know from my previous articles at some point I found myself facing huge mountain of unfinished tasks, jobs and projects which have been waiting in line for the time when I could finish them. But because some of these jobs have been waiting even for few months and I could not really finish them so I found myself in the situation of stress and frustration. I tried few times to make a schedule and plan which would help me to organize my work on those projects but because my main job ( which gives me money for the survival ) is highly unpredictable and constantly fluctuating I could not find the way to make my plan work it. And so I gave up on my plan couple of times deciding that I would do whatever I can. But this did not work for me either. I was working over the limits until late at night explaining myself that I want to finish my tasks as soon as I can. But at some point I got sick and so I had to think again about my work and rest. And so eventually I came up with a plan which is flexible and which fits into my unpredictable daily job. 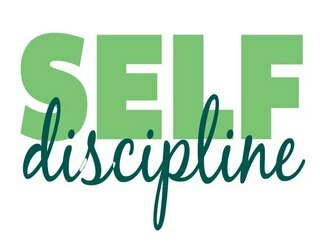 Then I also decided to do an experiment with 21 day of strict self-discipline of eliminating any time wasting activities ( computer games etc. ) following only my plan. And then the things started to move slowly forward.